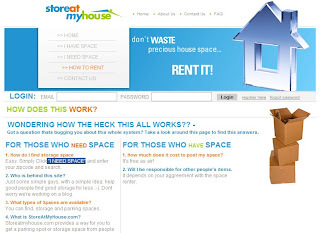 Store At My House is an online place for people whom have extra space or need a space for live. It is a simple idea that put lists that people whom offer or rent space around the your town or city together. You can search "I NEED SPACE" to find a place that you liked.